One can see the correlation in the fluid movement of an exceptional rock-climber scaling the side of a cliff to the lightness and grace of a dancer. Thirty years ago Fabrice Guillot, a professional rock-climber and competition route setter from France began collaborating with contemporary dance company, Roc in Lichen, and experimenting with stylized climbing sequences. 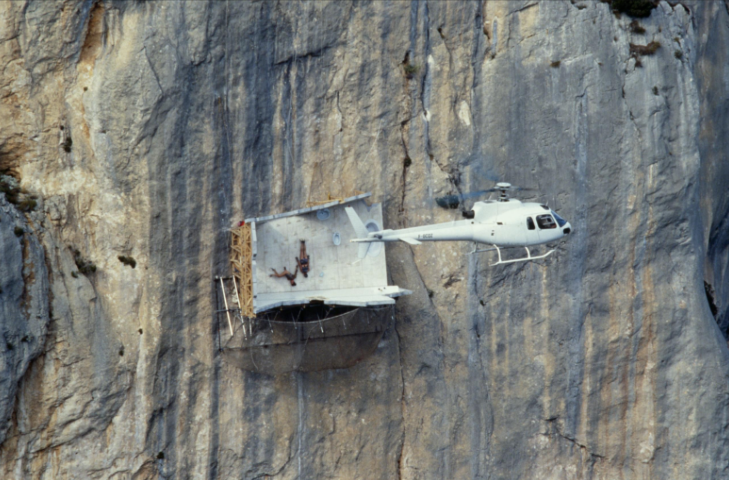 Fabrice and French climbing icon, Antoine Le Menestrel, partnered to eventually co-found Compagnie Retouramont. 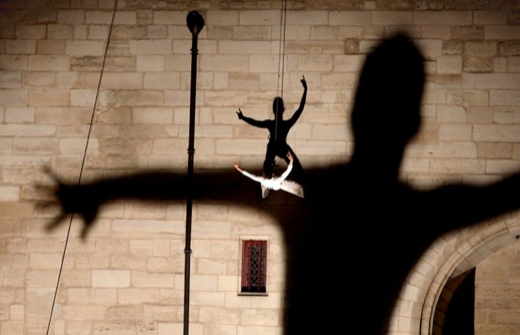 Their high level mountain climbing experience opened the doors to start creating dance routes on urban monuments, churches and castles, where they began to sew their unique choreographic seeds. 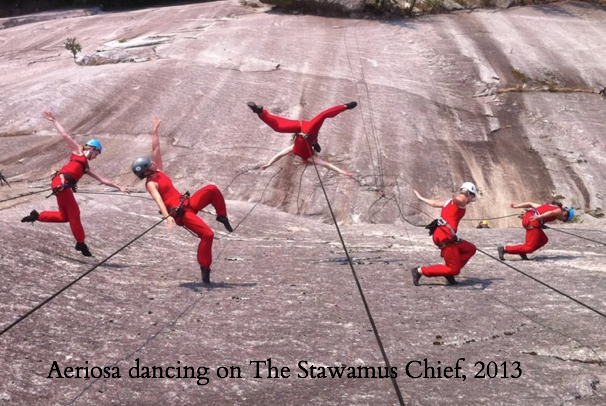 The energy and community of climbers and dancers collaborating and uniting their disciplines was exploding simultaneously in several locations worldwide. The beauty and allure of dance in suspension - free of constraint - was a contagious magnetic force. 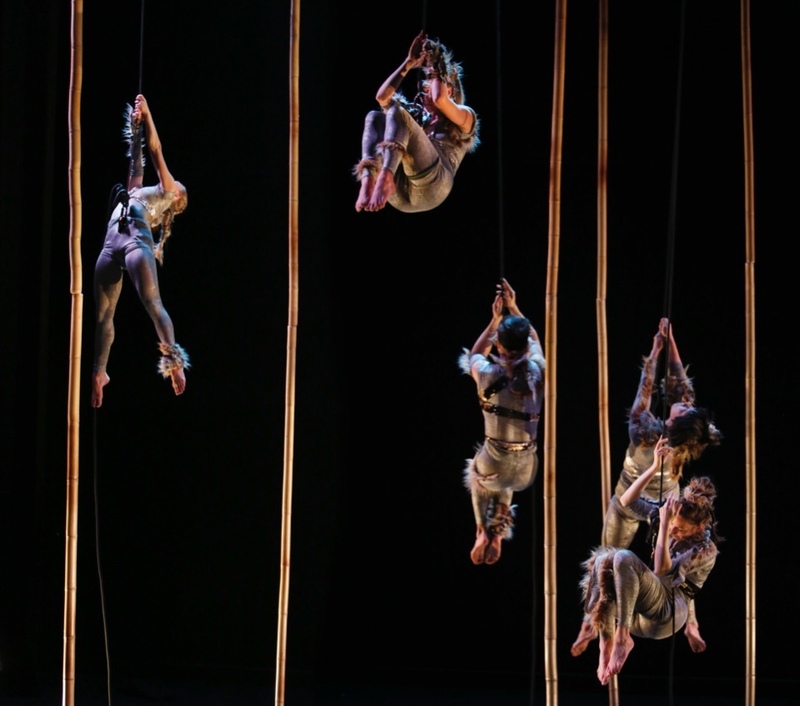 In response to an invitation to collaborate with a Hungarian circus association in 2013, Julia Taffe, Aeriosa's Founder and Artistic Director, wrote of a GRAND SCALE VERTICAL DANCE FLOCK manifesting in cities throughout Canada and Europe. Her proposed vision, though unfulfilled at the time, found its way to Fabrice's desk months later. Curious about her idea, Fabrice invited Julia to take part in conversations with some European vertical dance peers. Some scintillating Skype sessions ensued, and during one of these, choreographer, Chantal McCormick, of Fidget Feet Aerial Dance Theatre, offered to host a face to face three-day meeting in Ireland. 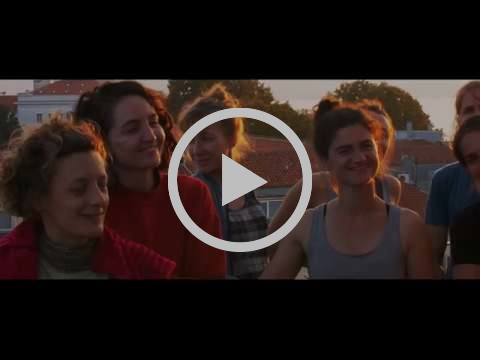 The artist-driven Vertical Dance Forum (VDF) network is a place where reflection on vertical dance practice, creative collaboration, exchange and communication is central. 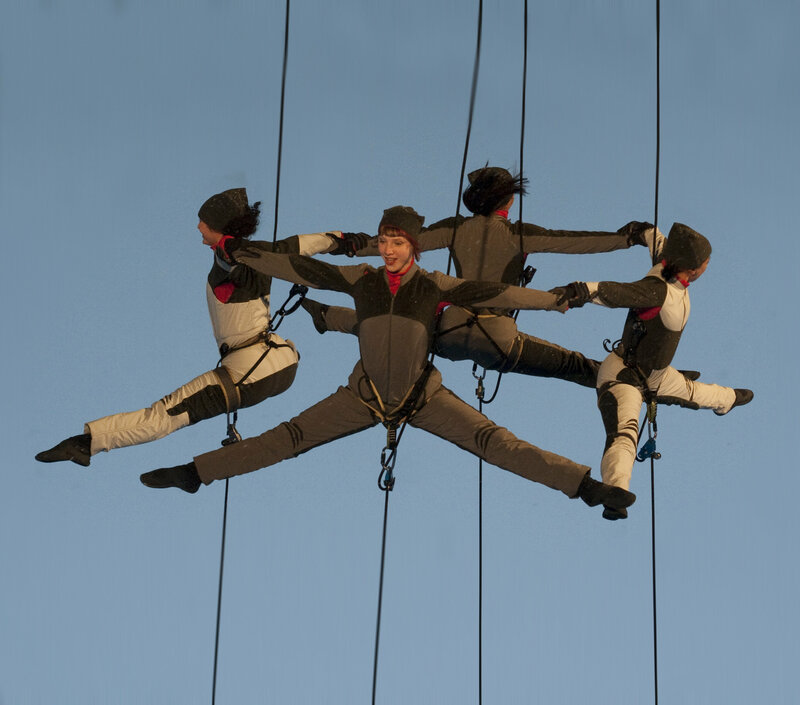 The goal of the Forum is to promote the art of vertical dance by encouraging international cooperation and creativity. Currently, the VDF is undertaking seven international meetings, co-funded by the Creative Europe Programme of the European Union along with the generous support from the artists, community partners and volunteers. Between 2017 and 2019 each artistic company is designing and hosting the meeting that is taking place in their country. One objective of the VDF events is to provide choreographers the time to understand and compare the challenges, opportunites and rewards of running vertical dance companies. Another aim is sharing knowledge with the next generation of vertical artists through physical exploration, professional training and mentorship. A third objective is community building by engaging the public in symposia, seminars, round tables and digital publications. Establishing the VDF has carried these seven artists beyond discussion to real friendship and creative collaboration. 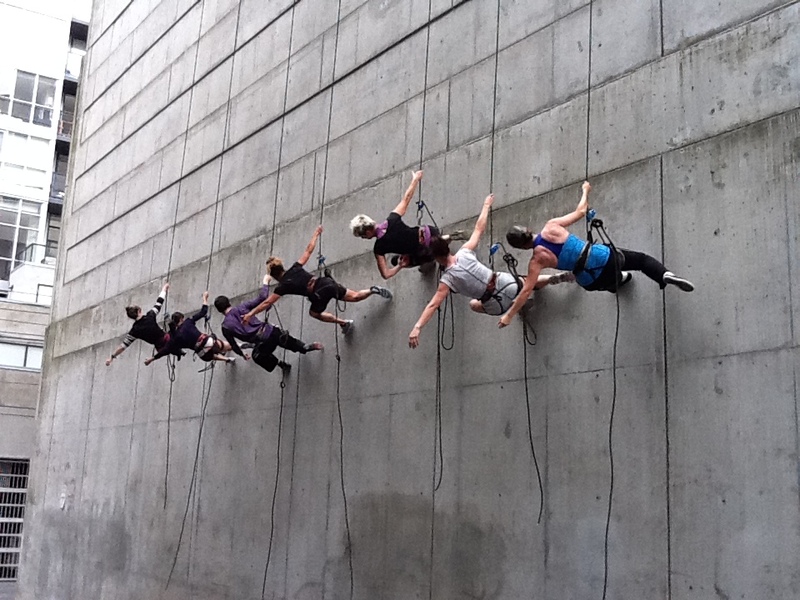 This network has opened the doors for Aeriosa to present the first gathering of international vertical dance artists in Canada! 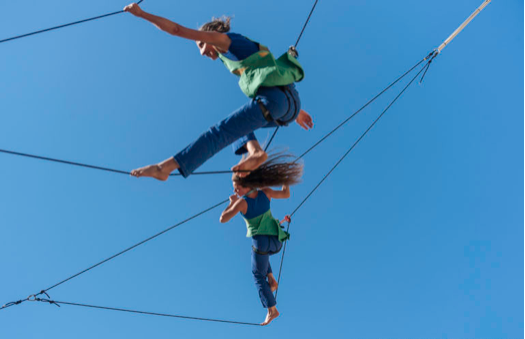 The 7 International Vertical Dance Forum Artistic Directors together with the Aeriosa team, will be sharing their tremendous depth of knowledge throughout the week through various workshops for professional artists as well as hosting public symposia and special events. 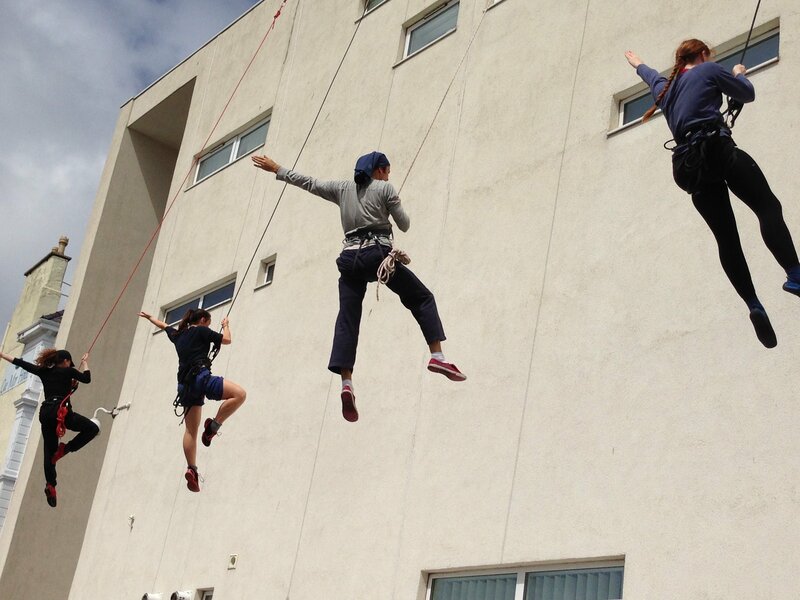 The week will culminate in 'The Gathering Flock' public performance on a 100m skyscraper with shared-authorship choreography by the VDF artists. Public are invited to film screenings, artist talks and roundtables scheduled throughout the week. VIVDS is co-presented by Aeriosa and SFU Woodward's Cultural Programs with support from the Canada Council for the Arts, The Province of British Columbia, The City of Vancouver and the Vertical Dance Forum, co-funded by the Creative Europe Programme of the European Union. You signed up for our list so we could keep you up to date.